I'm sorry for nto being there last week. I had to make a break in sewing and blogging. 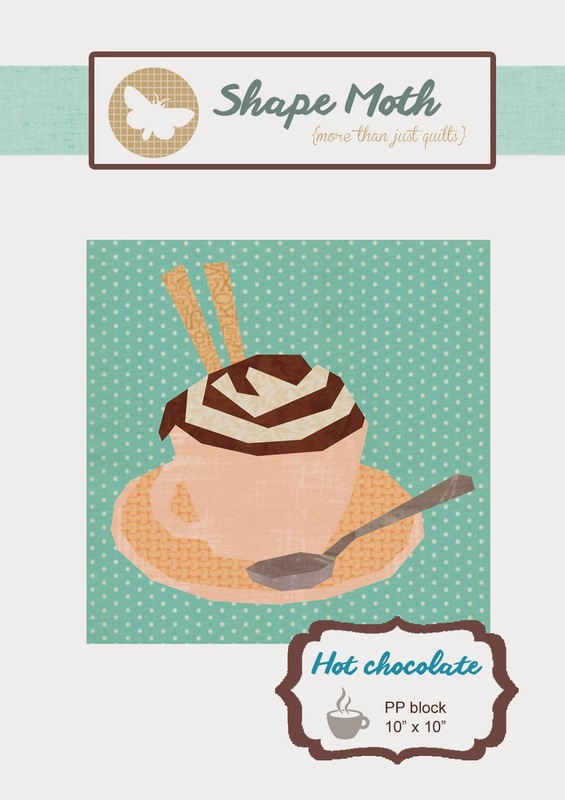 I'm now back with the last Sew Sweet QAL block - Hot chocolate - and the Linky. There are more and more blocks shown over at Flickr and FB! Thank you for being a part of the QAL! I really appreciate that. Post your photos in Flickr Sew Sweet QAL Group or share them on my FB Page! Use hashtag #SewSwetQAL and #shapemoth so I can find you! Zapraszam Was serdecznie do wspolnego szycia! Zdjecia swoich prac mozecie dodawac do grupy na Flickrze lub na mojej stronie FB! Sew Sweet QAL contest wouldn't be possible without our lovely sponsors! The hot chocolate is so cute!